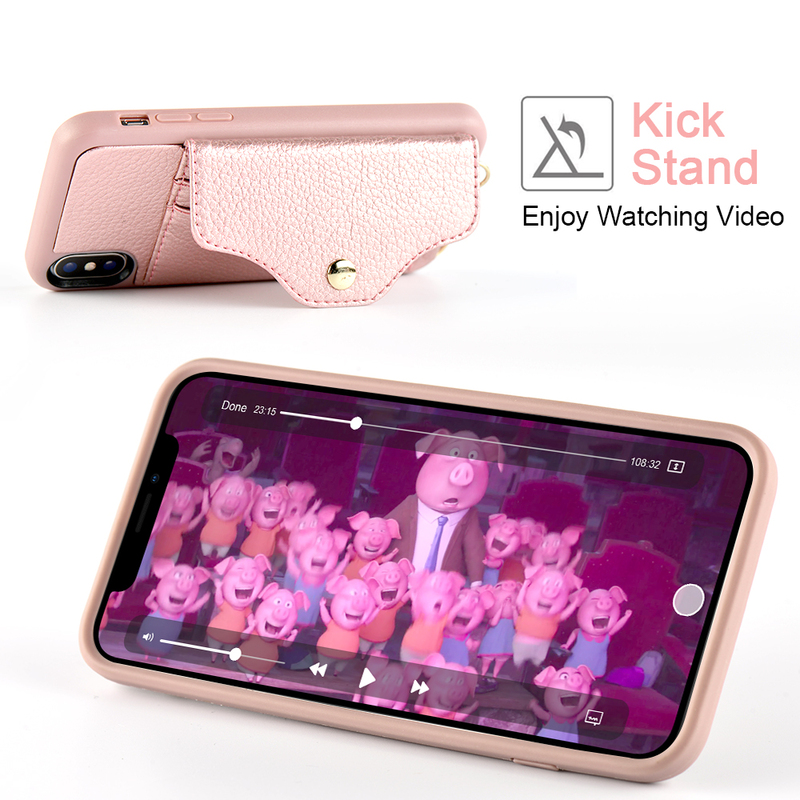 【Compatible Model】 ONLY fits for Apple iPhone X / iphone Xs, 5.8 inches version. 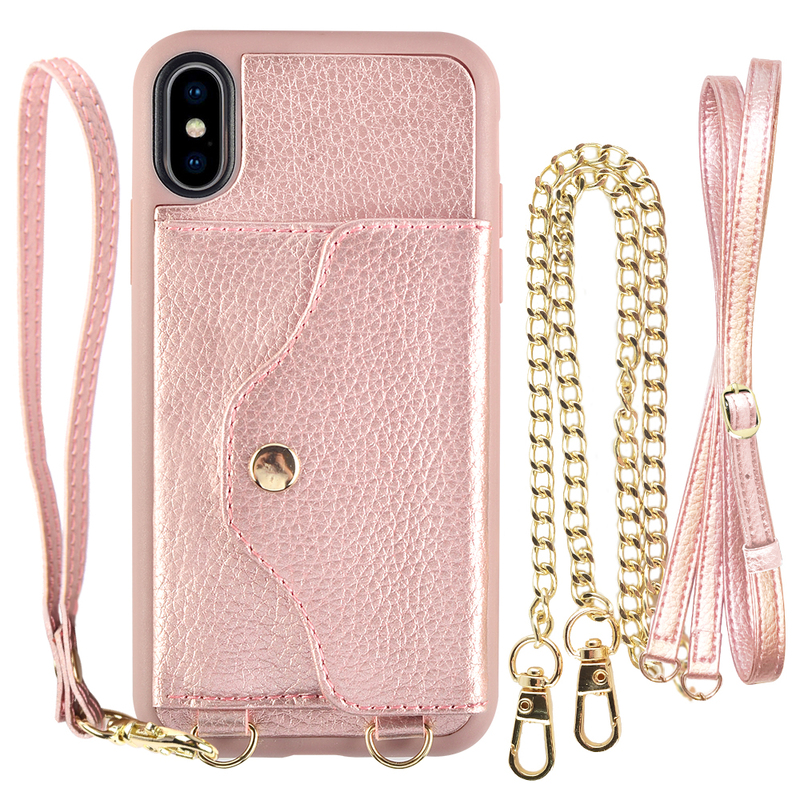 【Apple iPhone X Card Holder Case】 2 hidden card slot securely hold the cards, easy to take out your cards. 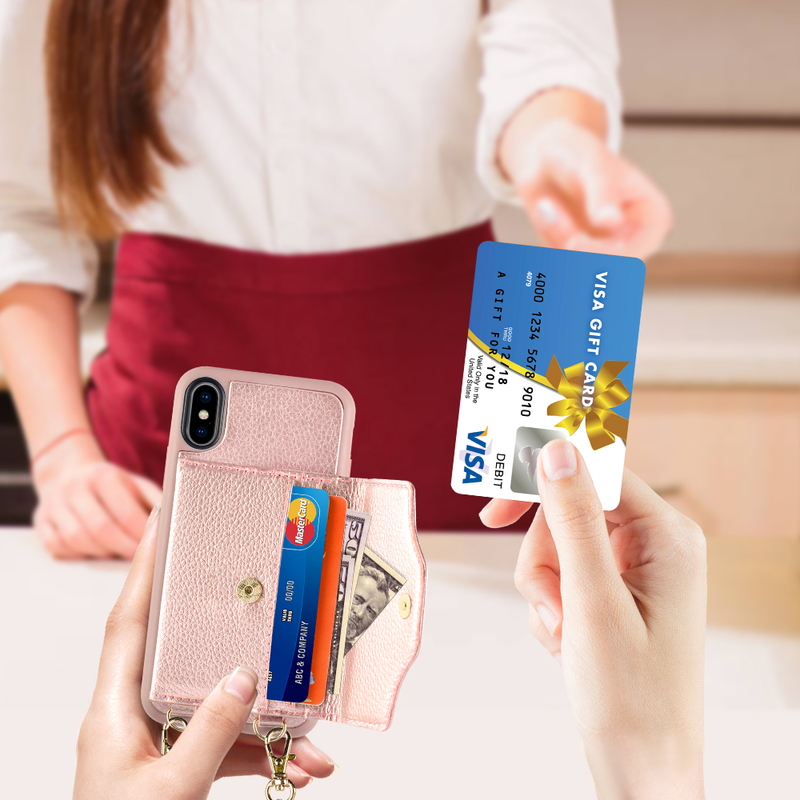 (IDs, credit card or debit cards, or cash), one secure magnetic clasp snaps firmly closed to keep cards and cash inside. 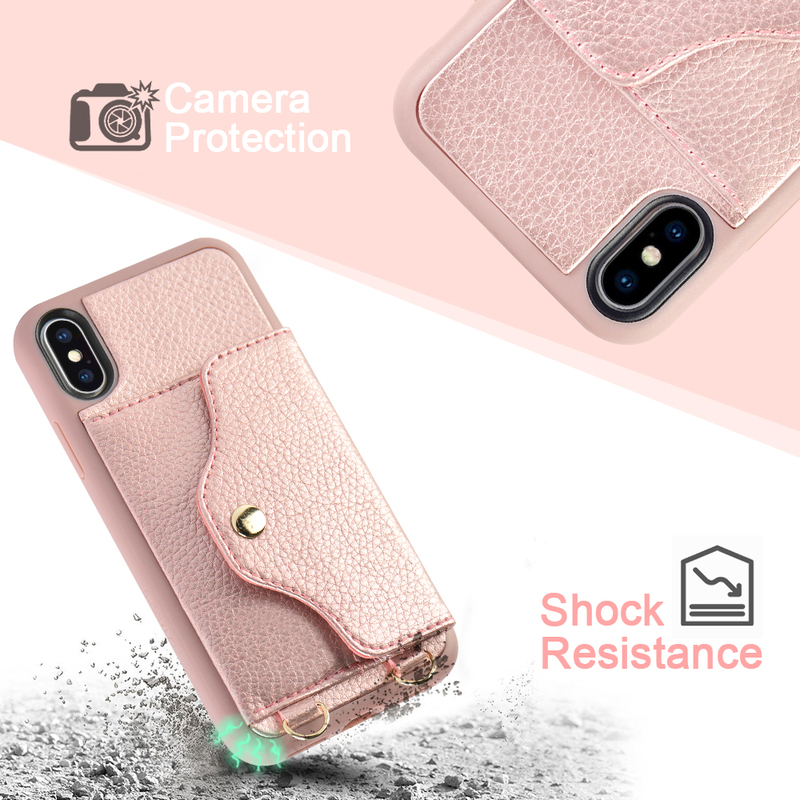 【Premium Protection&Shockproof】(1)The cover provides full-frame protection, make of the High-quality durable soft PU + premium TPU material case helps to protect from a tough drops, scratches, and bumps. 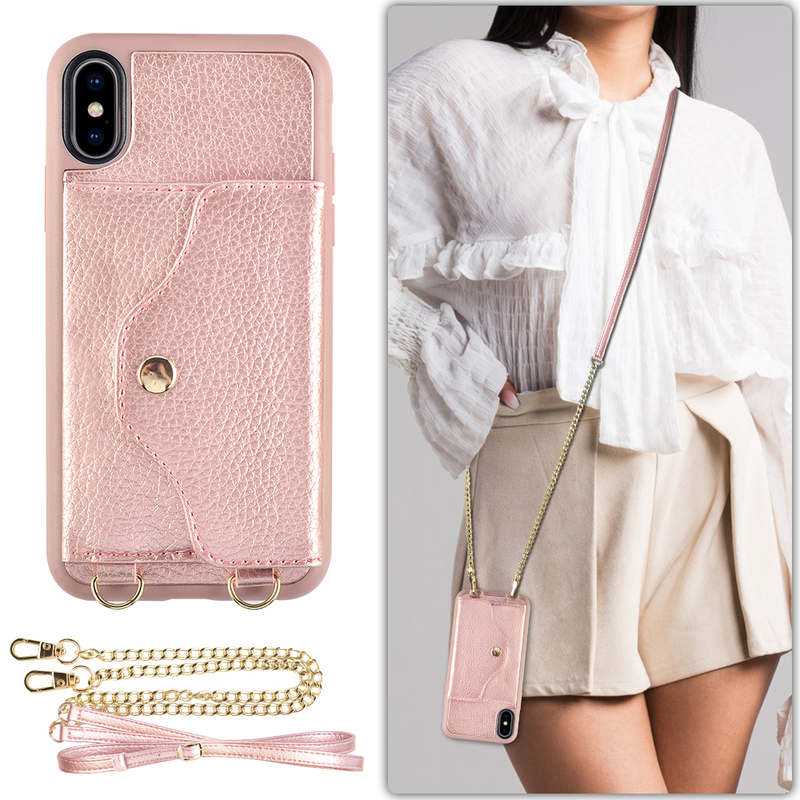 (2)100% HADNMADE craftmanship fashion designed multifunctional iPhone wallet case, precise cutouts for speakers, camera and other functional ports allow you to access easily to all ports and functions, without removing the case. 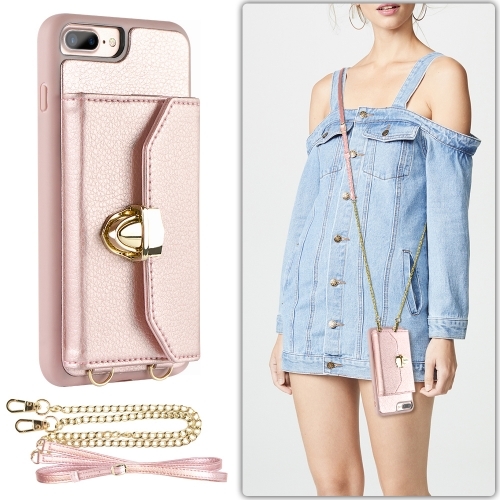 【Crossbody Chain Strap & Wrist Strap】The length of the crossbody strap is 45 to 54 inches(Adjustable). 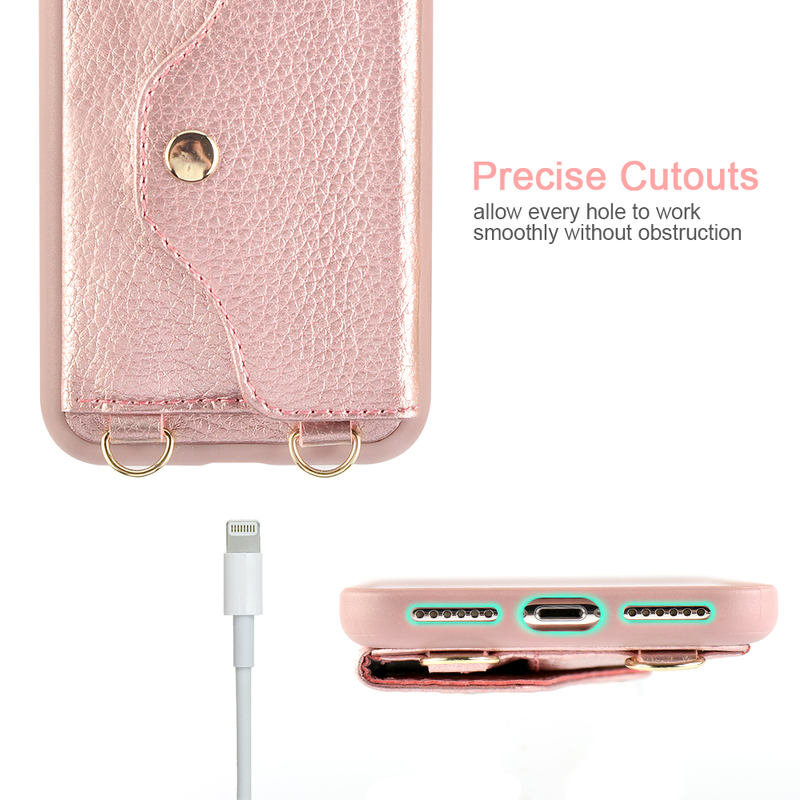 Enjoy the luxury of traveling wherever without having the fear of losing your phone or having to carry a handbag. 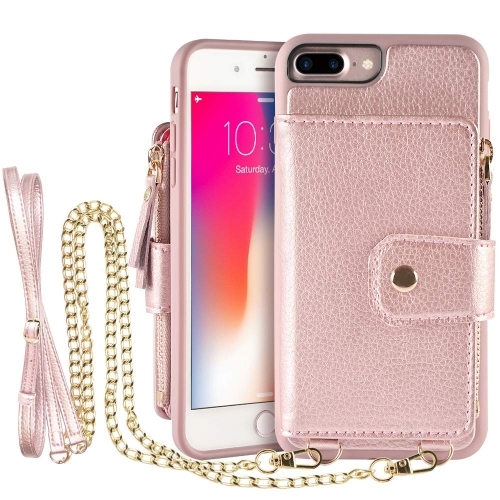 The strap can be taken off if you just need the case. 1、Will this fit an iPhone 8? No, it only fit for iphone X and iphone XS. 2、Can you store money in it? 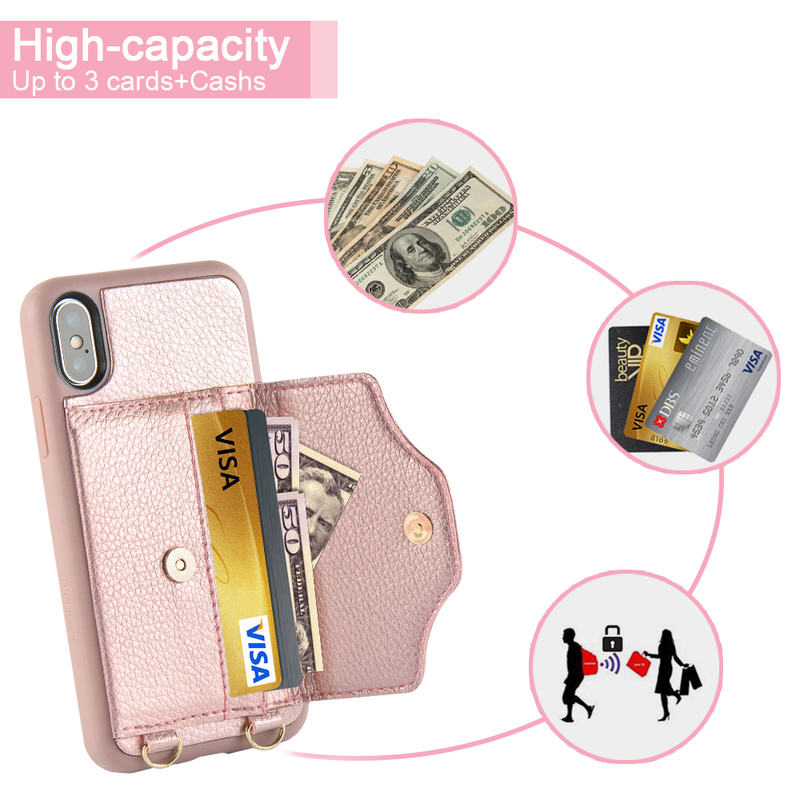 Yes, it can store money and cards. 3、is it easy to put cards in and take out the cards? Yes, love it very much,so convenient. 4、Can I easily remove the phone if I wanted to take it out? 5、How many cards can put in? Compatible Phone Models: Fit for Apple iPhone X / iphone XS, 5.8 inches version.